Guests may borrow up to ten (10) books at a time. Other items/services may not be available to guests due to quantity or licensing restrictions. This may include, but is not limited to, reserve items (both course and library), databases, inter-library loan, etc. To obtain a borrower's card please inquire in person at our main service desk. Alumni association members can obtain a borrower’s card free of charge. Other SC colleges or GLEAMNS faculty, staff, and students who hold valid ID cards can obtain borrower’s cards free of charge. General public borrower’s cards are available for a one-time fee of five dollars ($5). Please report lost or stolen cards to the Library. Borrower's cards may be used only by the person named on the account. A valid photo ID must be presented when using a borrower’s card. We currently have two desktop computers available for use by guests. 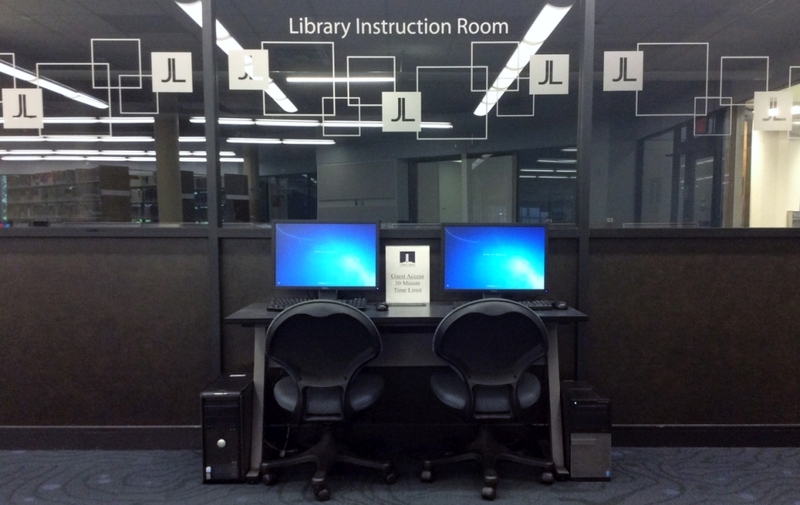 A valid photo ID is required for access to these computers. Please check-in at our main service desk and a staff member will assist with log-on. Our computers are available for thirty (30) minutes at a time and are first come, first serve. Black and white printing and copying are available for a fee of ten cents (10¢) per page. Faxing is available for a fee of one dollar ($1) per fax.